Dr Kebede Amenu, a lecturer at Hawassa University, has been awarded the Postdoctoral Fellowship in Sub-Saharan Africa by the German Academic Exchange Service (DAAD). The purpose of the program is to provide opportunities to post-doctoral researchers from Sub-Saharan Africa to conduct co-operative research within the region, under the guidance of a host research institution. Dr Kebede Amenu is a veterinarian and he also holds a Ph.D. in Agricultural Sciences from the University of Hohenheim. 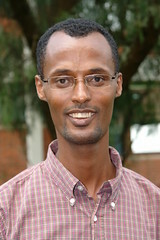 His Ph.D. work focused on water quality with implications for public health and milk safety in the Rift Valley area of Ethiopia, and was supported by the DAAD and Phase I of the Safe Food Fair Food Project at the International Livestock Research Institute (ILRI). During the tenure of the postdoctoral award, Dr Kebede will undertake research to improve milk safety and processing in the Borana pastoral region of Ethiopia. 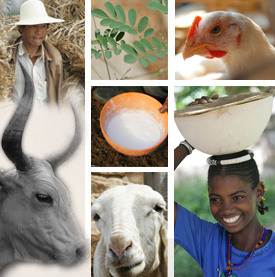 Dr Kebede’s proposed work is highly relevant to the Smallholder Sheep and Goat Value Chain Development and the Safe Food, Fair Food projects that ILRI is currently developing in Ethiopia. Dr Kebede’s academic background and research experience places him in an excellent position to contribute to these projects and foster a fruitful collaboration and partnership with ILRI. We congratulate Dr Kebede on the successful application for this prestigious award. Tags: awards, Ethiopia, Germany, informal markets. Bookmark the permalink.